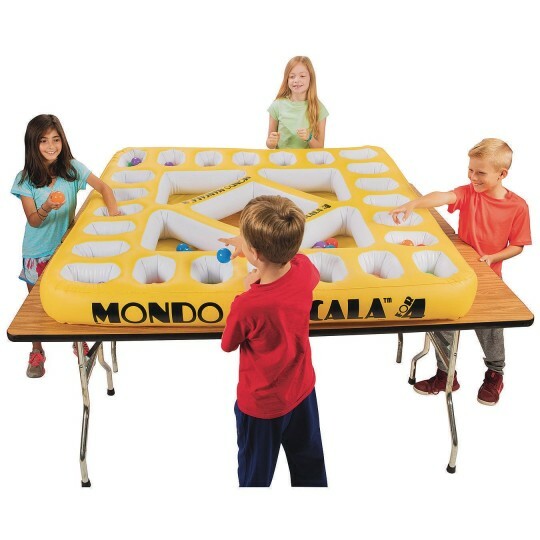 Mancala is fun, Jumbo Mancala is more fun, and our new Mondo Mancala for 4 is the most fun! 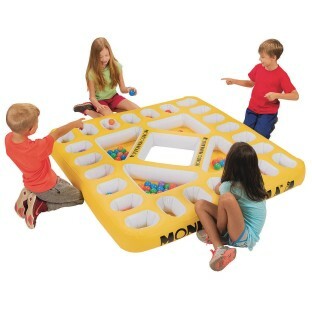 This game includes a huge 6’L x 6’W x 6”H inflatable game board, 130 – 2” diameter ball pit balls to use as stones, a mesh bag to store your stones and instructions. Play it on the floor or push together some tables to play on. 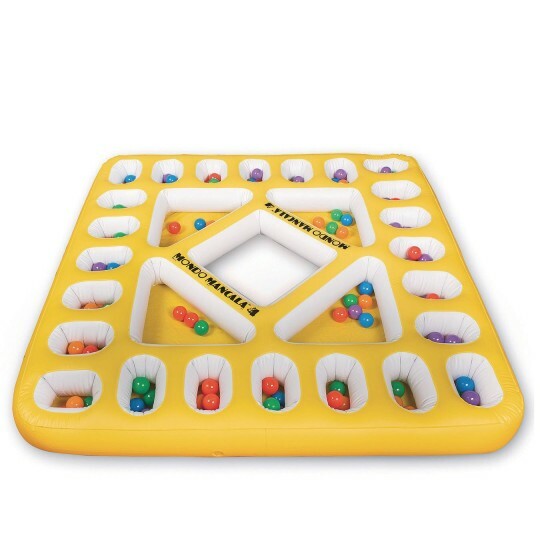 The jumbo game board is more fun and players even get a little exercise as they stand and walk around the playing board. For 2 to 4 players.